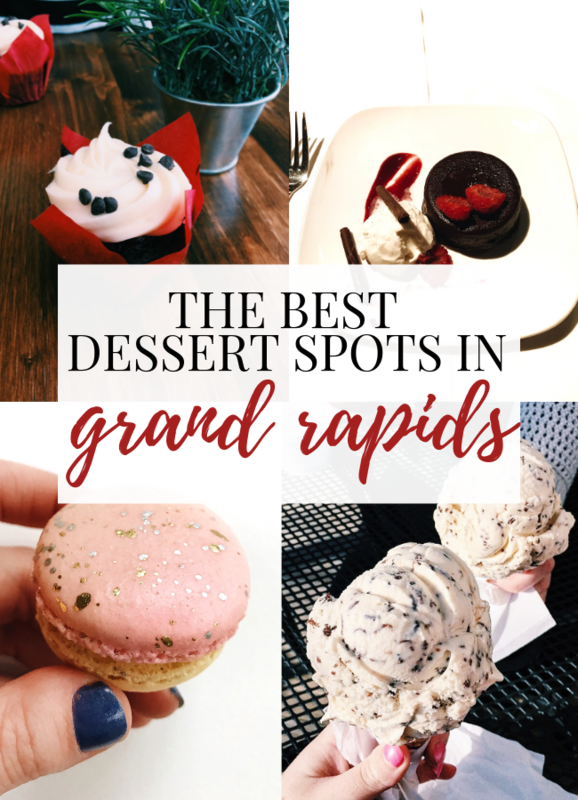 Today I am sharing about my favorite dessert places in Grand Rapids that I have discovered during the past few years of living here. One thing I love about Grand Rapids is there are plenty of cute little local places, from coffee shops to macaron stores. A goal for 2019 (and a goal on my 101 in 1001 list!) is to try out more of these places and to create more Grand Rapids related content for The Trendy Chick since there are so many fun places I want you guys to know about if you ever find yourself in Grand Rapids! 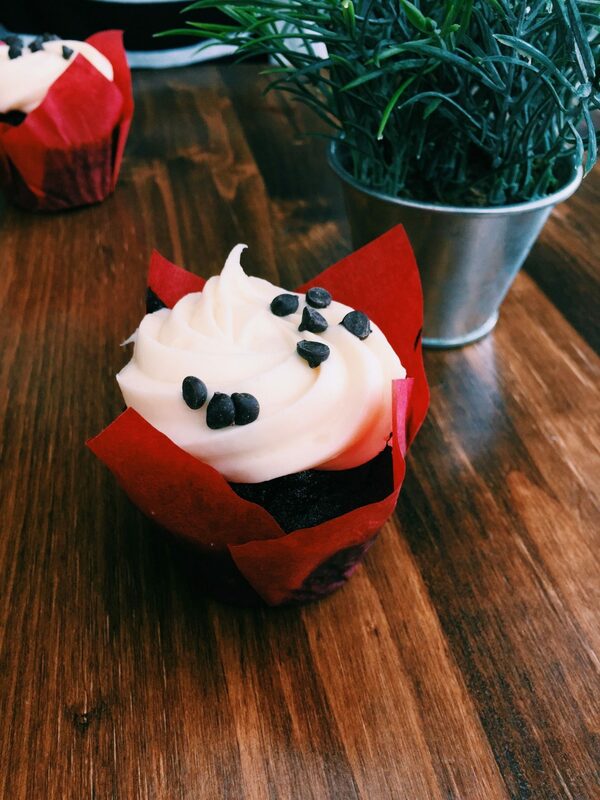 The Cakabakery has a great variety of cookies, cupcakes, and bars, plus they have the cutest shop in general! Honestly I have only been a few times, but everything I have had from there is delicious. 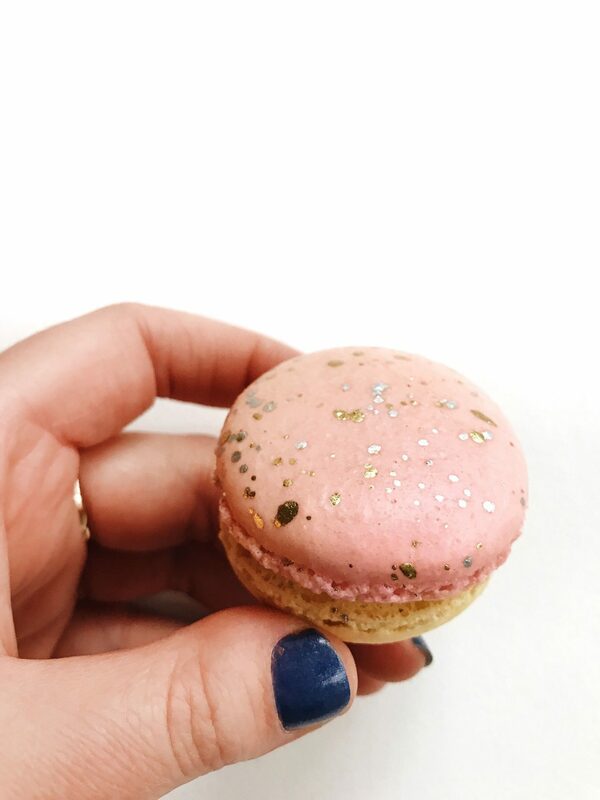 I also follow them on Instagram and they constantly post delicious looking treats, so check there to see what they have that day before visiting! I just tried The Chop House for the first time in January and honestly didn’t know it existed until I went! It is a fancy dinner place right downtown and is within walking distance from many hotels and venues if you are in town for an event. While the food is very pricey (too expensive for this grad student’s budget! 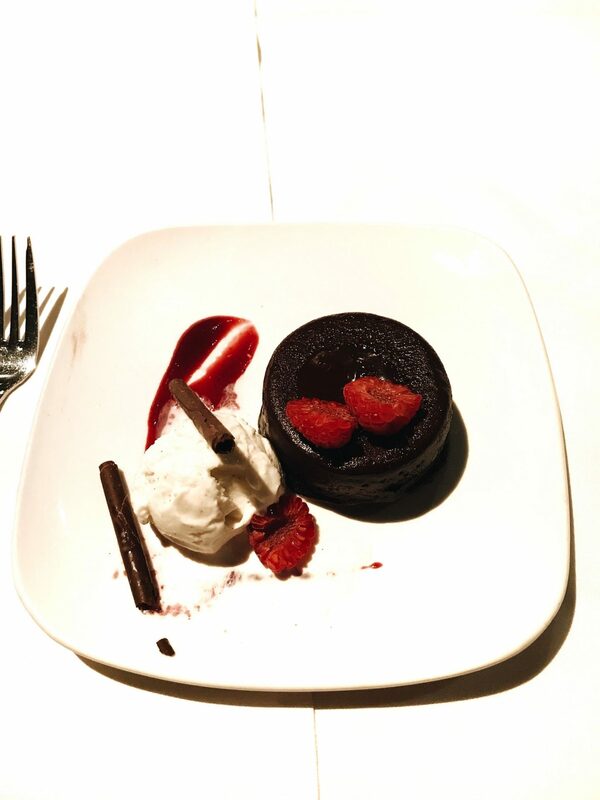 ), the desserts are $8-$12ish. Considering a dessert at many chain restaurants like Applebee’s are about that same price, The Chop House actually isn’t that expensive for dessert! Plus, it is a fun excuse to dress up and go to a fancy place without breaking the bank. And did I mention how delicious this chocolate meltdown cake was?! SO good! I also tried my housemate’s Oreo cheesecake, and it was delicious too. 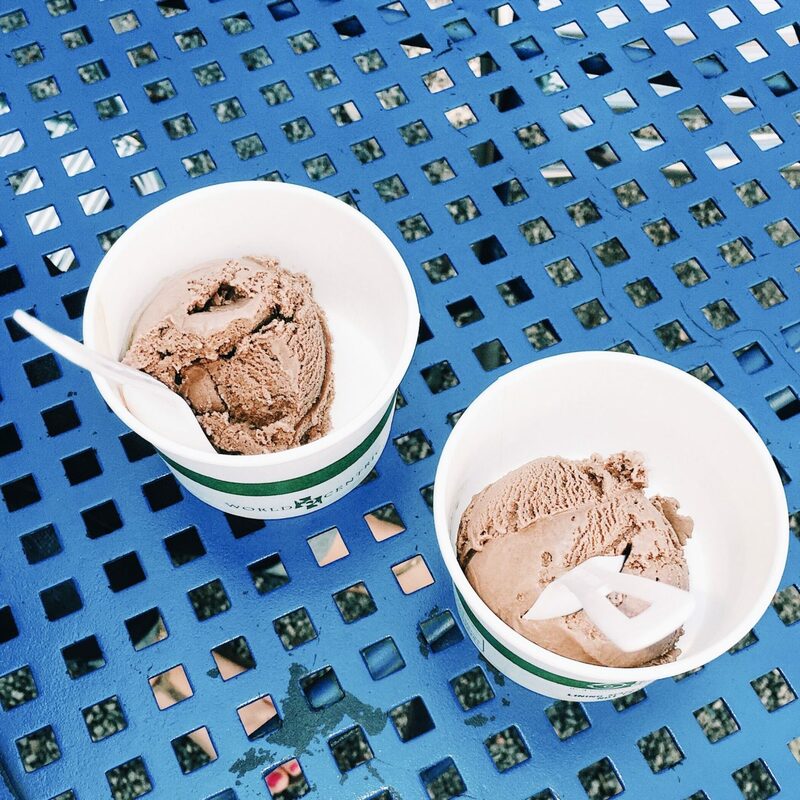 This is my favorite place to get ice cream in Grand Rapids because it is nearby, has a good variety of Hudsonville ice cream, and it is such a quaint place in Gaslight Village! 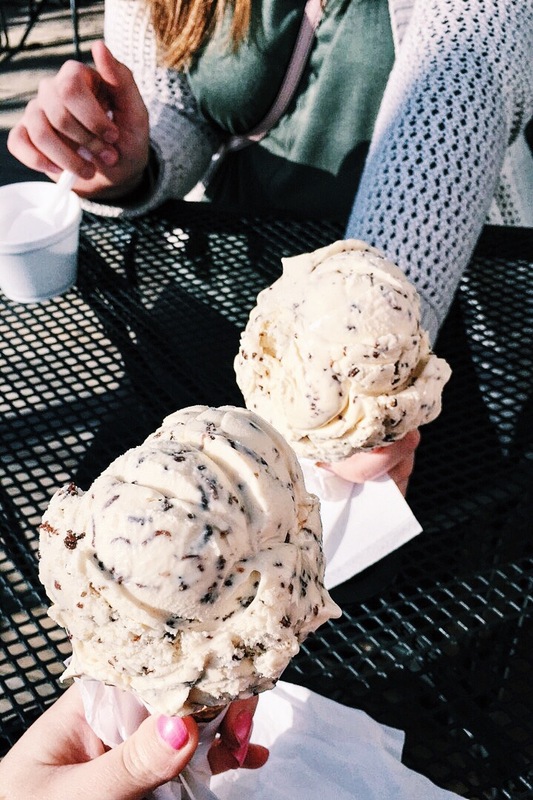 My personal favorite flavors are mint chip or toasted coconut! My favorite froyo place in Grand Rapids is The Pumphouse since it has so many great toppings and they have a good variety of flavors of froyo! I don’t actually have any pictures from here, but believe me it is worth trying if you want some good froyo. Furniture City Creamery has fun and unique flavors and they make all the ice cream themselves. It is a bit more expensive since it is all made from scratch, but I have loved anything I have tried there! They also have a little back patio area to eat your ice cream at in the summer months! But don’t be fooled, they are open all year round, unlike many small ice cream places in GR. They also have some vegan options if you don’t eat dairy, which I know is appealing to some people! Have you tried any place on this list? Which one sounds the best? Let me know in the comments below!